Born and raised in New Hampshire, John has been practicing since 1986 and joined the firm in 2006, becoming a partner in 2007. As a native of New Hampshire, John is quite familiar with the local community. 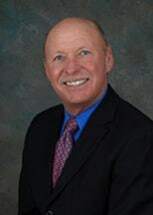 In addition to a statewide New Hampshire practice in District, Family and Superior Courts, John is licensed in the United States District Court of New Hampshire, and has been a member of the Massachusetts Bar Association since September of 1994. John is also a member of the American Bar Association and the New Hampshire Association for Justice as well as being a certified Superior Court Mediator. He concentrates in Worker's Compensation, Family Law, Personal Injury and Social Security Disability claims. With his years of experience, John heads the firm's Family Law Department. John will continue his commitment to offer quality legal services to provide clients prompt, courteous and aggressive, yet professional, representation, maintaining high standards to ensure each client receives the attention and representation their individual matter require and deserve.